Longevity Exercise Physiology is excited to announce the opening of 2 NEW locations and therefore we are looking to grow our team. 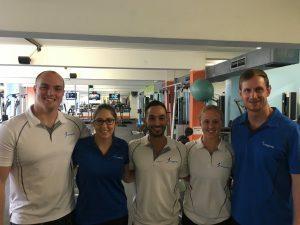 Established in 2008, Longevity Exercise Physiology offers gym-based Exercise Physiology services which provides a broader range of solutions for each client/patient. Our goal is to have the healthiest, wealthiest and happiest staff in the exercise industry by 2028. This leadership role will establish 2 new locations in Randwick and Marrickville. Our current locations are Edgecliffand Lindfield. Our business has grown by over 400% since 2015. A key factor in this has been our culture of a team approach to all challenges. This includes weekly professional development meetings. Longevity staff have high standards and high values which produce excellent results for clients and patients. A passion for entrepreneurship, sales, marketing and general business skills is recommended. Our attitude is that better people are better performers. We have built a work environment that encourages our staff to become healthier, wealthier and happier. Apply online now or contact Longevity on 1300 964 002 to discuss this opportunity further.